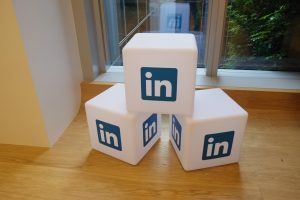 If you are looking to do B2B marketing then LinkedIn is probably the social media platform for you. According to Quora, 80% of B2B leads come from LinkedIn, and 79% of B2B marketers say that LinkedIn has been an effective avenue for lead generation. With this in mind, you need to make sure your profile is solid so that you can promote your products and services, and have a clear LinkedIn marketing plan. LinkedIn is for business so think carefully when adding connections. Family and friends can catch up with you on Facebook. It is important to have a company page if you employ more than 1 staff member. However LinkedIn is all about connections and people are 10 times more likely to interact with employee profiles over company pages. Considering this find 5 of your most engaged employees and ask them to share content from the Company page adding their own comments. You could also ask them to create their own original content to share. These are extensions of your Company Page and allow you to showcase different aspects of your business with their own messages and for their own target audiences. For example Adobe has various products (Acrobat reader, Photoshop etc) so they have split their offerings over 5 Showcase Pages. There are some other good examples in this Demodia article. You can share company updates and sponsored content with LinkedIn members who follow your relevant Showcase Pages. Quintly is a LinkedIn analytics tool which can be used to analyse your followers and benchmark them with your competitor’s followers. It can also be used to measure engagement data from your LinkedIn updates so you can tweak your content strategy. Don’t just share your latest blog just because you have written it. Make sure you have clear and engaging reasons why someone may want to read it. Videos work well on LinkedIn too. However you go about improving your LinkedIn profile, do take a look at this Business2Community article for some suggestions of LinkedIn marketing tools to help you build your brand presence.